or 3. actually coming up with something you like only to realise you've lost 4 days and the better part of your sanity. Sound familiar? This is where I come in to help. Your business, plus my design skills will not only take your business to new heights... but your sanity will thank you for it! Let's bring your brand to life! As a designer, I can create a wide variety of graphics for your business. If you can't find what you're looking for below please don't hesitate to get in contact! Your one-stop shop for branding (or rebranding) your biz. Get your brand off the ground with this basic package. It covers everything you'll need to get yourself out there and trading in this big beautiful world! Not only do you get a logo perfectly designed for you and your biz, you also get the choice of TWO extra items with your brand new logo plastered all over it! Basic Package $840 - Save $90 by bundling! A branding questionnaire to help you work out EXACTLY what you, your business and your target audience needs. Logo design: 3+ concepts, 3-5 revisions (extra revisions available for a further fee) + all final files and variations. Style guide outlining fonts, colours & consistent design elements of your new brand. 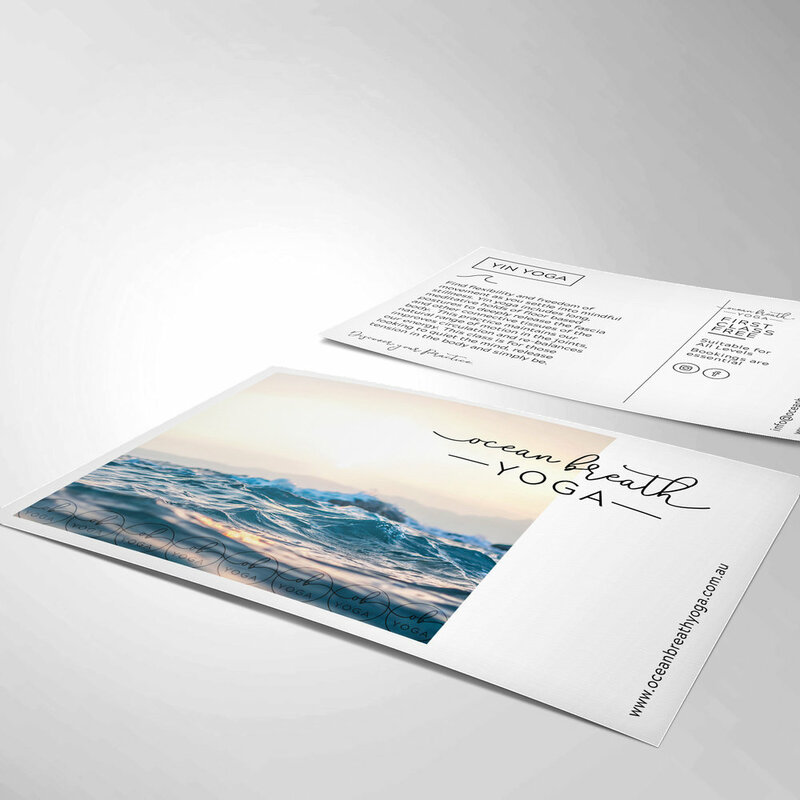 Your choice of two of: Business card design, email signature, Facebook cover photo and/or display picture, 3 social media templates, 1 sided flyer/postcard. Yes! I want to take a dip. This package is for those ladies looking to get serious. They are ready to really smash this business thing out of the park. With this package you not only get a brand-spankin' new logo but everything to get your business brand sitting on a solid foundation. The world will know you are here and that you are serious! Standard Package $1,100 - Save $130 by bundling! Email signature - HTML based so all links are clickable! I can also help you install this. Set of 5 social media templates (editable on Canva or similar) and advice given on how to use within your Instagram grid. There is no stopping a business that dives deep. This package is for a woman ready to give her ALL. She is motivated, gutsy and ready to show the world what her business has got! This package is the most inclusive and comes not only with a perfectly custom logo but ALL the extras you could ever want. Think business cards, think email signatures, think a fully custom social media feed AND think beautifully branded website! Perfection. Luxe package $1,863 - Save $207 by bundling! Set of 10 social media templates (editable on Canva or similar) and advice given on how to use within your Instagram grid. 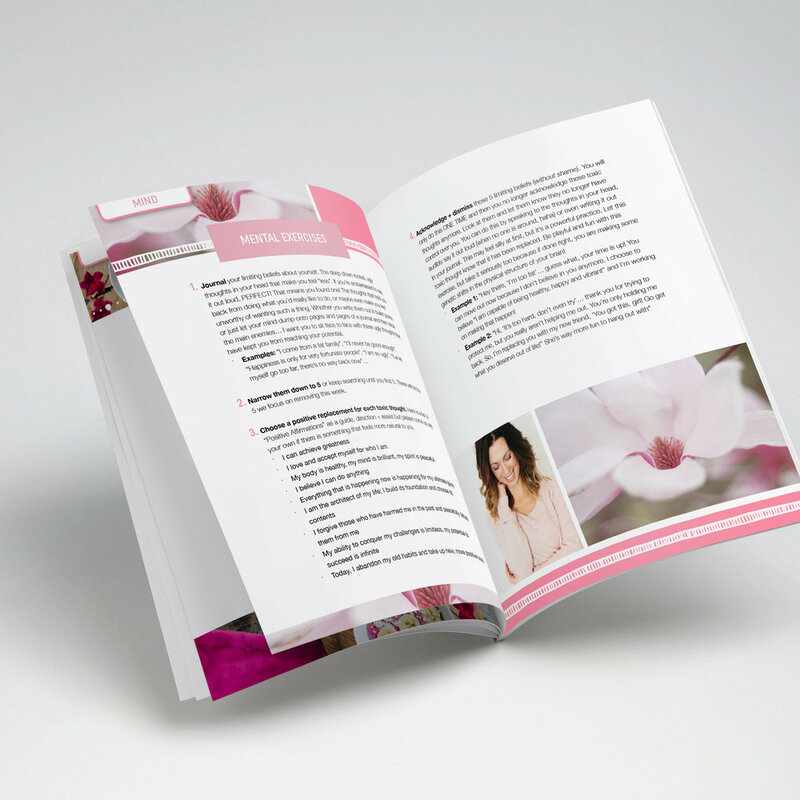 Brochure/Flyer/Pamphlet design - choose which sort of flyer you’d like and we’ll create the perfect design to explain your business! (Printing not included). *Please note, website design is NOT included. You'll either need to be a DIYer (Squarespace is my recommendation) or have hired a web developer to put everything together for you. My part is to create the beautiful images and graphics to go along with it. If you're after a package a little more custom please just get in contact and I can put together a free custom quote just for you, bundling together everything you will need. Creating a package will save you 10% off the standard single priced fee. I believe that when we work together we'll create something truly beautiful. Can I just have one design? Heck yes! I'm glad you asked. If you've already got a logo you love and just need the odd design here or there take a look at the pricing below. You get: A questionnaire to help work out EXACTLY what you need, 3+ logo concepts, 3-5 revisions (extra revisions available for further fee) + all final files/variations, and style guide outlining fonts, colours & consistent elements. This is for the lady who can DIY her site (or already has a web guru) but needs some beautiful branded images to accompany. Includes 1 banner image, 3 slider images, 3 sub boxes, 1 popup and a style guide fonts/colours - Or alternative design of equivalent value. Dreaming of professional? Let's create informative, juicy cards. Luxe or standard. Foiled or glossed. Square or rounded corners. Endless options! These cards will make the perfect first impression. Yes! I need some cards! Get a social media up to scratch with 5 customisable templates just for your brand. These will be editable in Canva so you can make as many posts as your heart can bare. Facebook is often the first point of contact with your clients. What is your page saying? Get a fully branded and customised cover photo and display picture for your page. Opt-ins are an amazing way to give your potential clients some free proof of you amazing skills to help build trust and build that pesky email list. Opt-in base rate (up to 8 pages): $120. Sometimes you just need a killer graphic for your socials. Well, I'm your girl! Let's design something that will really get your message out there with a bang! (Includes 2 revisions). Educate your readers through showcasing your expertise in an eBook. I’ll help you transform your knowledge into a beautiful PDF that steps your readers through all your content in a clear and aesthetic way. eBook: Base rate (1-20 pages): $400. Every additional page thereafter: $8 per page. Want to communicate to future customers in the old reliable print medium? You can't go past a gorgeous postcard, DL flyer or brochure. *Design only. Printing comes at extra cost. get my name in print! You're sending emails every day right? Take this chance to put your best foot forward with all of your links, contact info and deals with a fully branded clickable HTML signature. If you have no clue how this all works, I'll step you through it. Stand out amongst the crowd with a Podcast design that's eye catching and intriguing! Includes iTunes image and promotional image template for you to edit as you promote your new podcast! Whether you're at a conference or a market stall make your brand known through a custom made banner. I'll help with all the design and even assist with getting it printed (printing cost not included). This is the perfect way to inform, educate or entertain your audience or clients. Put yourself forward as an expert in your field by collating and creating content for an eMagazine. Base rate (1-20 pages): $400. *Print magazines incur a 10% surcharge for setting the magazine up for print. So, you're ready to do this?! There are multiple ways to get it touch. I recommend heading here and filling out this super simple form to let me know what you'd like! Alternatively, if you're more of a chatty person you get book your free 15 minute consultation here! Well that was easy! Once we've had a chat and you're ready to go ahead you'll receive 3 things from me. 1) A welcome pack outlining tips, a hello and a contract. 2) A questionnaire that helps you flesh out exactly what you need, who your target audience is and what your dreams are for this design. 3) A 50% upfront invoice to pay before we kick off designing. 3. Leave it in my hands! Once I have everything I need off you I will get to work!! Depending on your deadline (everyone's different) I'll do my best to work to your timeframe and get some draft(s) to you! Have a sit with these drafts and work out what you like and don't like. I'm open to all feedback! Let me know your thoughts and this will then begin the refining process where we'll chat back and forward slowly tweaking and refining until we arrive at the PERFECT design. Once you're as happy as a pig in mud, we'll sign off on the job and I'll send you through your final invoice and final files. I'll then wait eagerly at my computer for the chance to work with you on any other exciting new projects. Everyone is different. All humans are fantastic, but not all of us are made to work together. Let's break it down! and 3. answer any and all of your questions.